This is a single story 5,700 sq. ft. wood frame building located in Palmer, Alaska. 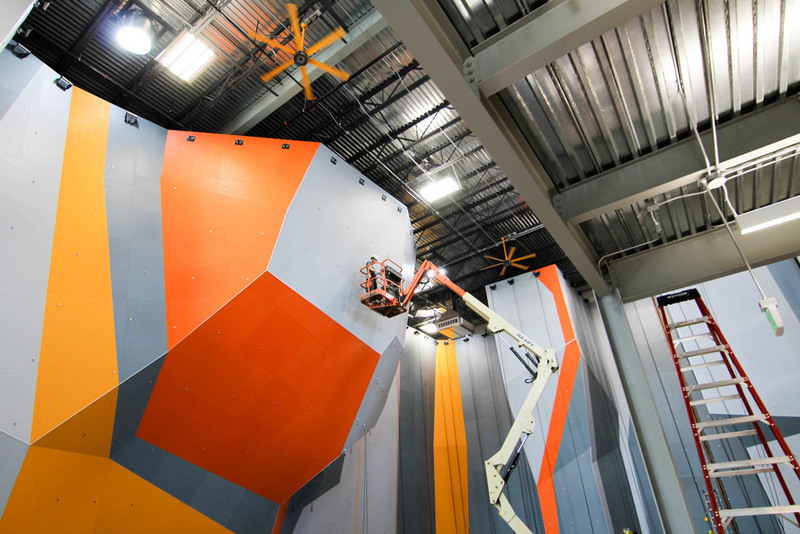 We were asked to participate as design build team member from the concept phase, throughout the design-development, cost-development stages and construction phase. 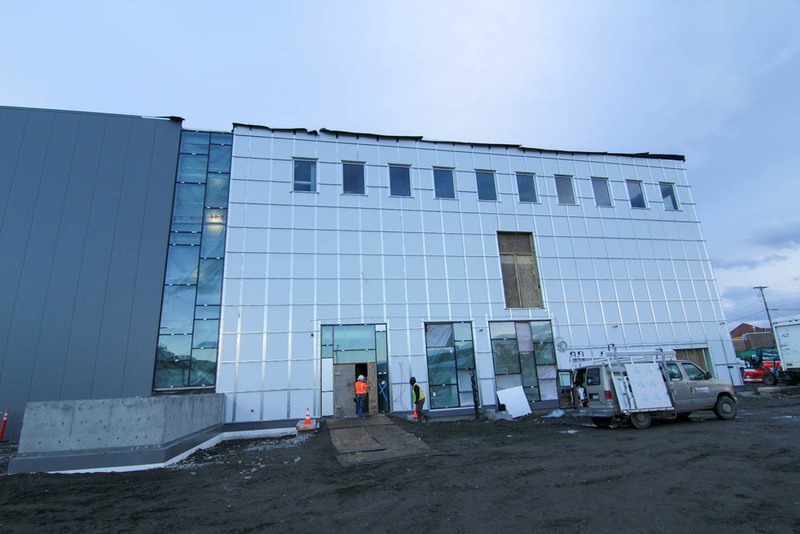 The team consisted Gordon Thompson Architects, Franklin & Associates, EBSC Engineering, T3 Alaska Engineering, Inc. and EIC Engineers, Inc.
We began site-work in May 2016 was completed September 2016. 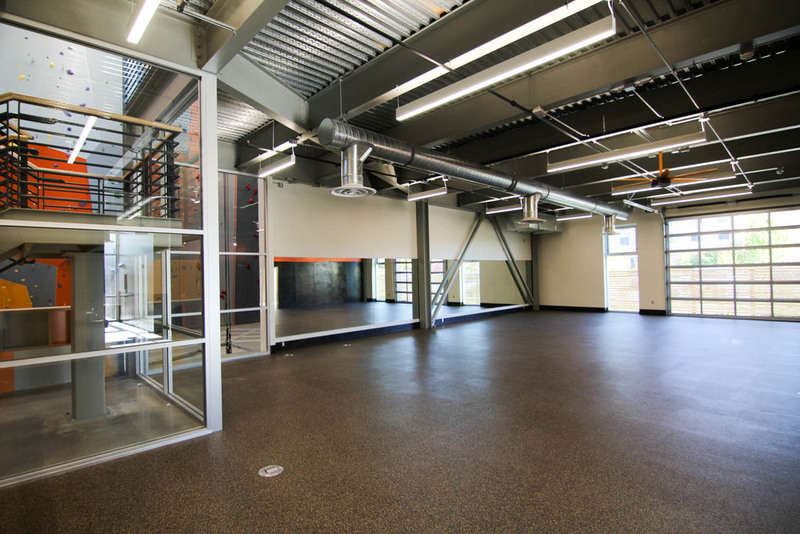 The project included wood framing, clear span trusses, exterior wood cladding, aluminum storefront entries, state of the art dance floor system, and energy efficient mechanical and electric systems that include LED lighting. Other major team mates include: Scoggin Excavating, Valley Block & Concrete, JD Steel, Quinn Decorative Concrete, Spenard Builders Supply, Uresco Building Supply, Rain Proof Roofing, Commercial Contractors, Conner Sports Flooring, Northwind Painting, Ross Drywall, General Mechanical, Inc. and Vannoy Electric. 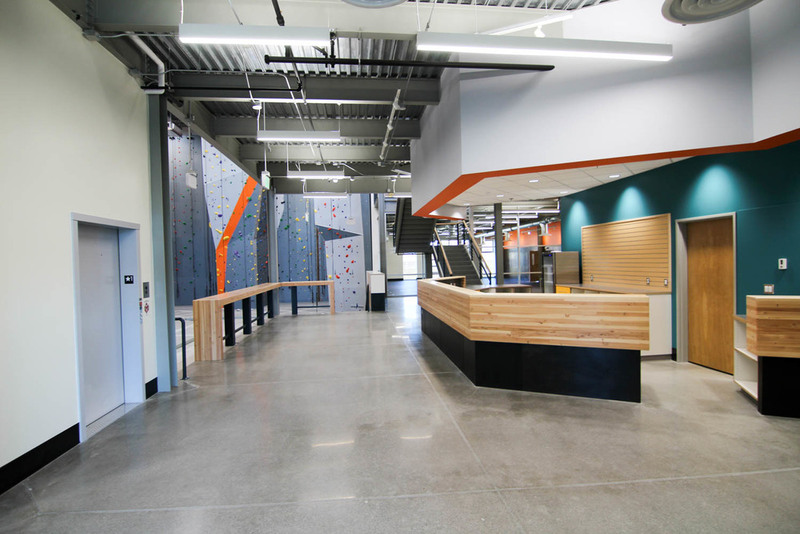 This is a 24,000 square foot structural steel brace frame Rock Gym facility located in mid-town Anchorage. We were asked to participate as a design assist team member throughout the design-development, cost-development stages and construction phase. The team consists of 33rd Avenue LLC, 61northarchitects, Enterprise Engineering, Inc., BBFM Engineers, Inc. and HZA Consulting Engineers. We began site-work in August 2015 with a completion date set for June 2016. 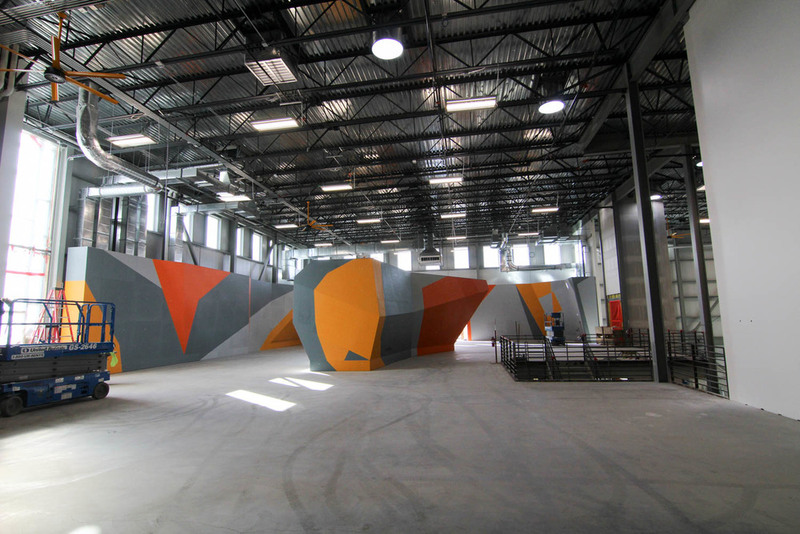 The project will include a 50’ tall roped climbing area, bouldering area, yoga studio, fitness room, conference room, beautifully landscaped site, exterior decorative metal panels, elevator, and energy efficient mechanical and electric systems. Other major contributors to this project include: B.C. Excavating, LLC, Alaska Professional Construction, Finishing Edge, E/P Roofing, Accel Fire Protection, General Mechanical, Knik Plumbing & Heating, Vannoy Electric, Lundahl Steel, Andy Milner Company, Otis Elevator, Ron Webb Paving, Northwest Landscape, JD Steel, and Door Systems of Alaska, Inc..
Rilke Schule German School of Arts & Sciences is a Kindergarten through 8th grade German Immersion Charter School in the Anchorage School District. A new 39,500 sq. ft. building is being constructed to provide long term space for the school. 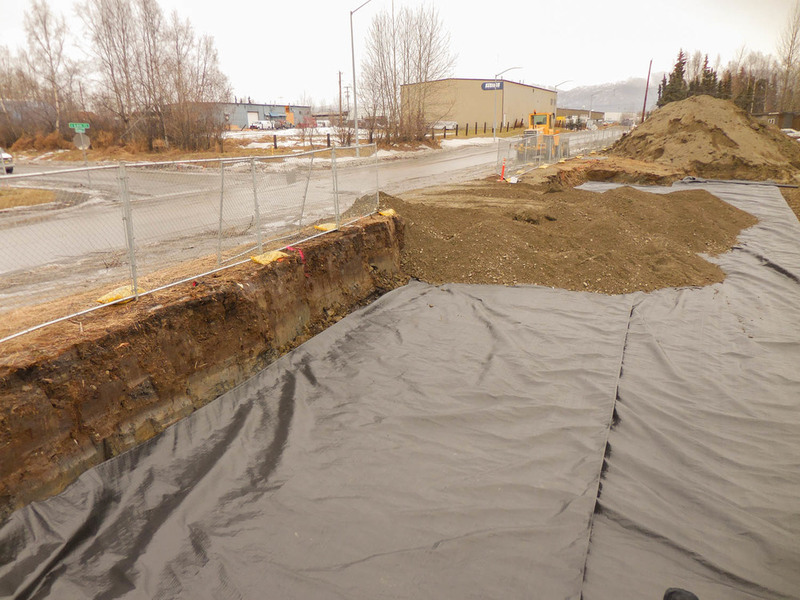 The site is located on East 64th Avenue, opposite of Burlwood Street in Anchorage. 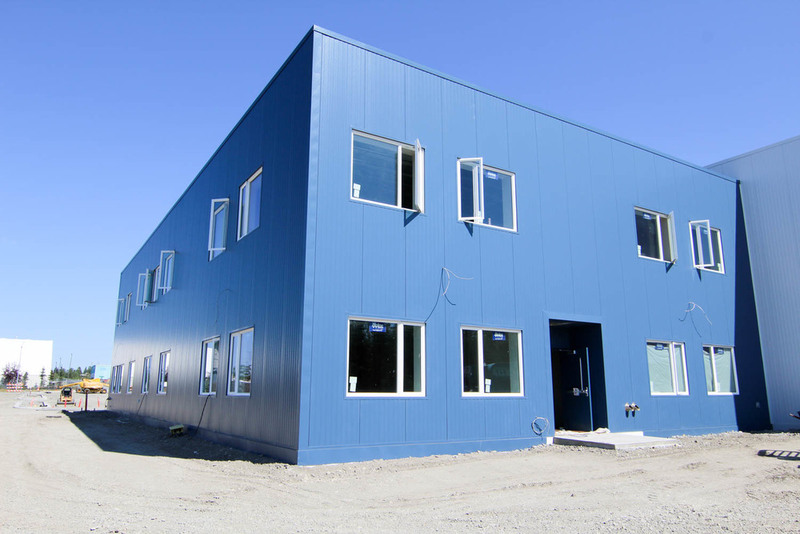 The building exterior will be clad with insulated metal building panels, providing the school with an efficient envelope that is also extremely durable in the Alaskan climate. The entry canopy is brightly colored to give the school a playful identity, while the transparent entry allows light to filter into the lobby creating a warm and welcoming feeling for the community. Each classroom and office space has access to natural light that contributes to the energy efficiency of the building, occupant health, and creates an environment where students can succeed. When completed, the school will have twenty-seven class rooms, a large multipurpose room, computer lab, and administrative area. The project is being developed by Nanuaq Development, LLC, a joint venture of Pfeffer Development and Sitnasuak Native Corporation, the village corporation of Nome. Criterion General is building the project that is designed by RIM Architects. Other major project teammates include: Enterprise Engineering, Oien Associates, B.C. 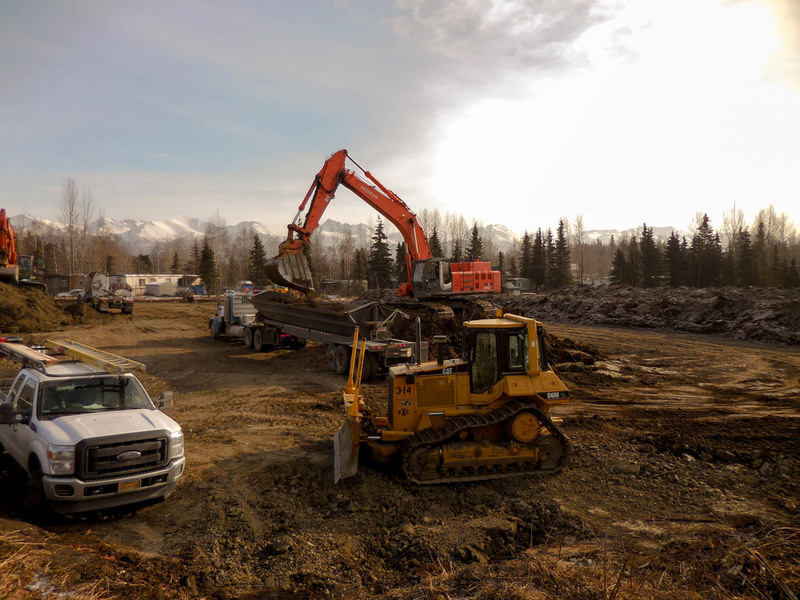 Excavation, Whalen Construction, Rain Proof Roofing, Alaska Interior Specialties, ACME Painting Company, Otis Elevator, Slayden Plumbing & Heating, SimplexGrinnell & Vannoy Electric. 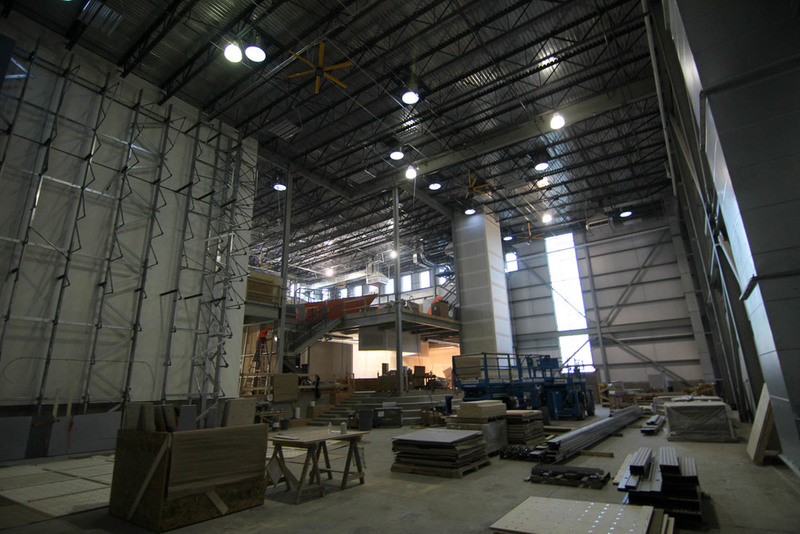 The project started in late February 2015, and the school is scheduled to be completed in the fall 2015. 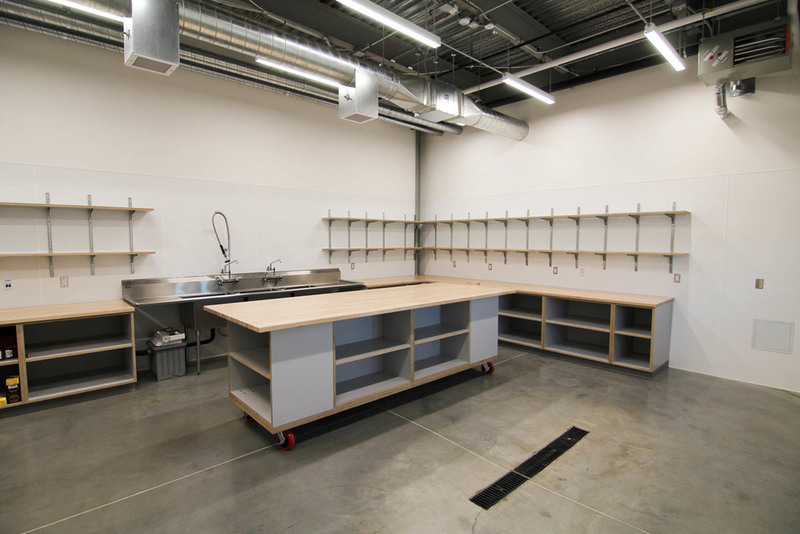 This is the third phase of the Birchtree Charter School project and consisted of the installation of a new elevator system, flooring, cabinetry, ceiling tile, and mechanical and electrical systems. 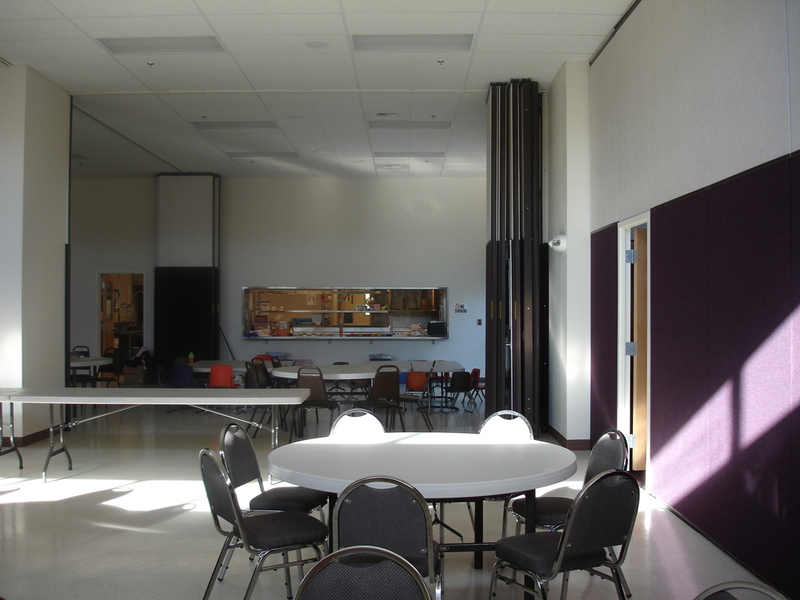 The Congregation Beth Sholom project is a 3,500 square-foot wood frame addition to an existing building. The construction began in October of 2006 and was built through the winter of 06-07. This was a challenging job because the existing building is occupied during the week with pre-school and on weekends with services for the congregation. Construction consisted of a new full-service kitchen, multi-purpose room, classrooms and remodeling of the existing classrooms. The boilers and roof top HVAC units were replaced with new units during construction. All classrooms were outfitted with new casework, carpet, painting and new ceilings. A new fire alarm system was installed to update the entire building as were the sprinklers. The exterior finish was updated with aluminum storefront doors and windows and new Panel-15 siding that gave the outdated building a new fresh look. A new paved fire access lane and playgrounds were added as was new landscaping.